The Japanese have long been renowned for having some of the lowest rates of heart disease, obesity, and diabetes among developed nations. It is no secret that their diet, low in fats and oils, is the contributing factor to their typically healthy and long lives. Like most Asian cuisine, the food of Japan uses rice as the staple. However, while Indian dishes are relatively high in butter and oil content, Japanese food tends to favour broiled or steamed seafood and meat, accompanied by vegetables. This makes it a viable option for those seeking to lose weight, especially when the rice is substituted for wheat-based foods. Among the healthiest of Japan's dishes is sushi, which is mainly cooked and vinegared rice, topped with other ingredients. While generally made with Japanese short-grain rice, sushi can also be prepared with brown or wild rice for extra health benefits. Sushi comes in several variants, each of which suits a particular taste or diet. Makizushi is the most common variant, and consists of rice, seafood, and toppings wrapped in sheets of edible seaweed known as “nori”; the long roll is then sliced into small cylinders. Nigirizushi, seafood pressed into an oblong mound of rice, is an alternative for those who don't enjoy the taste of nori. 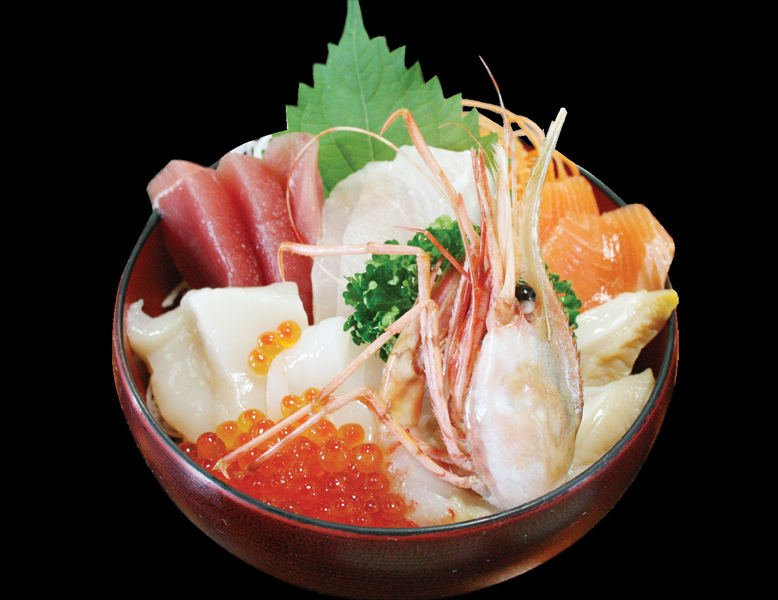 The calorie- and carbohydrate-conscious can opt for Sashimi, sliced raw seafood. Sushi is most often made with raw or steamed seafood, the most common varieties being fish, shrimp, crab, eel, and octopus. Chicken and beef (the meats most common in Japanese cooking), can also be used, and are favourites with less adventurous diners. Sushi made with tofu is gaining popularity in the West and south Asia, where vegetarian diners are common. Sushi is always eaten with pickled daikon radish and a tiny amount of wasabi or soy sauce, though etiquette dictates that only a small amount should be used so that the flavour of the sushi is not compromised. A sweet pickled ginger known as gari is served between variants to cleanse the palate and aid digestion. Japanese sushi chefs are highly trained to detect any signs of contamination in seafood, particularly when serving sashimi. 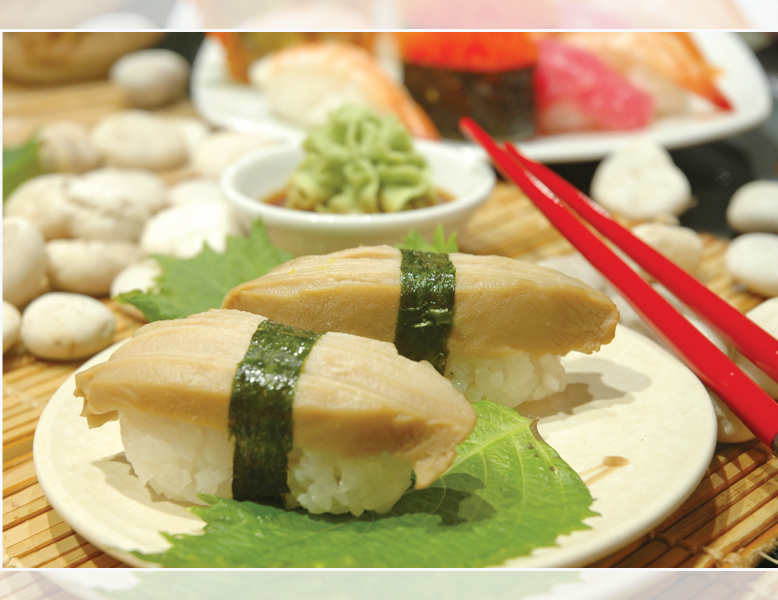 Being an acquired taste, many people - even those who consume seafood regularly - shy away from sushi. The health benefits are phenomenal and considerable enough to add sushi as an occasional or even regular part of one's diet. Choosing healthy seafood toppings such as salmon, tuna, or eel provides a lean source of high-quality protein and omega-3 fatty acids responsible for lowering the risk of heart disease and abnormalities; chicketarians and vegetarians can opt for lean chicken or tofu, and gain the protein benefits. Brown rice, common in bigger supermarkets, can be used in place of white as a source of unrefined carbohydrates and dietary fibre. Nori is high in mineral content and is a rare source of iodine, essential for proper hormonal function. Magnesium, folic acid, calcium, iron, and antioxidants are also found in nori. One serving (175g) of salmon makizushi made with brown rice contains 270 calories, 23 grams of protein, and 22g of unrefined carbohydrates, making it a balanced meal by itself. Split that in half and you have a nutritious snack that will keep you away from the junk food until dinnertime. 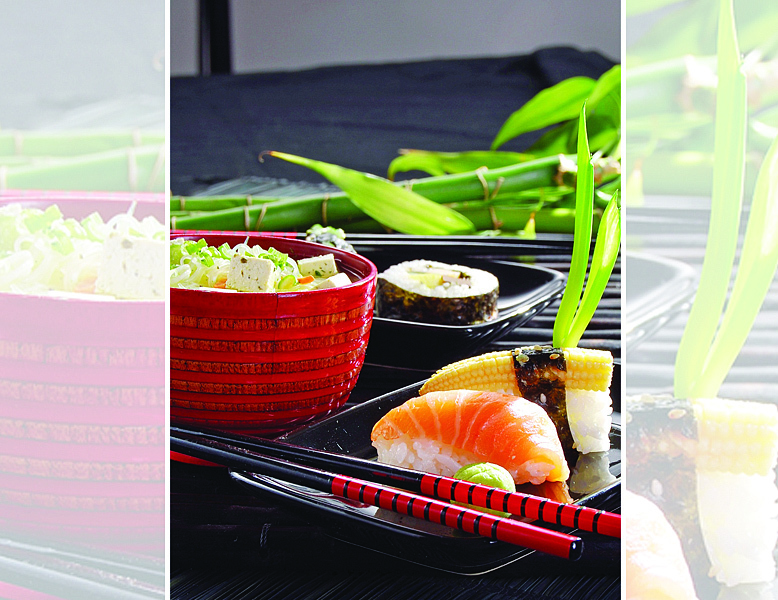 As sushi grows in popularity, the food has been adapted to suit different palates. Indian sushi chefs have concocted several recipes, including biryani-based and masala-infused sushi. Unhealthy variants such as fried and crispy tempura sushi have also sprung up, and many eateries that serve the dish do so with toppings such as cream cheese and spicy mayonnaise. These condiments take an all-natural meal and turn into a preservative-laden cholesterol convention. Steer clear of these deal-breakers to keep your sushi low-calorie, low-fat, and guilt-free. Warning: All varieties of fish contain varying levels of methylmercury. These levels can be negligible in some fish and dangerously high in others. Consume raw fish in moderation. Young children, pregnant women, and nursing mothers should abstain from consuming raw fish entirely.